Thanks for checking out my website! 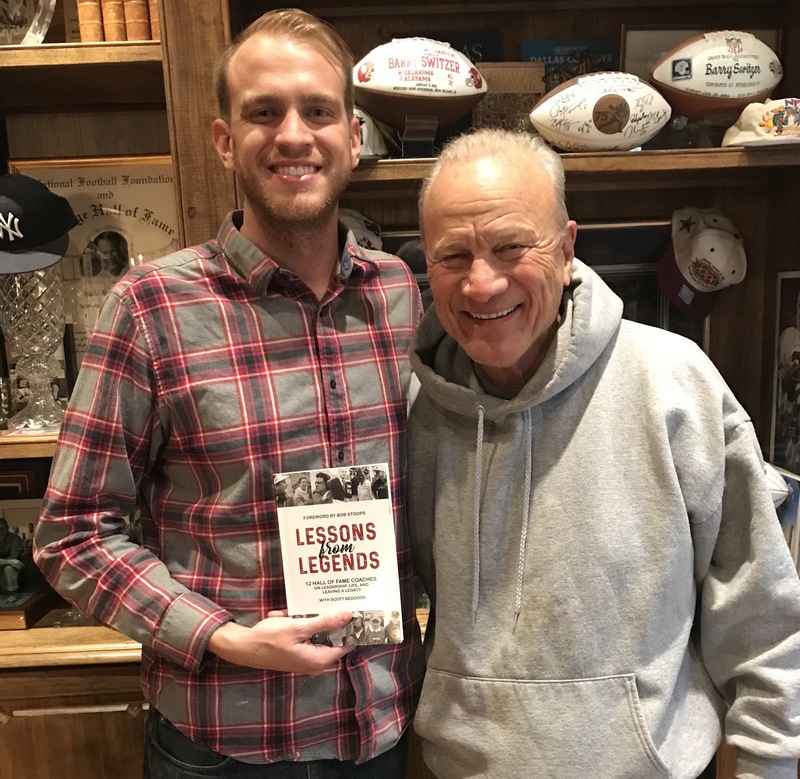 I’m a sportswriter based in Dallas, TX and I’m the author of Lessons from Legends: 12 Hall of Fame Coaches on Life, Leadership, and Leaving a Legacy. I also write a weekly Big 12 newsletter called Bedgood’s Big 12 Bullets. Currently, I’m the Senior Editor at Beckett Media. In my career I’ve interviewed hall of famers, Grammy and Emmy winners, world record holders, entrepreneurs, athletes, and adventurers. I grew up in Tyler, TX and attended the University of Oklahoma. My wife Samantha works for our church and our dogs June and Gertie do not have jobs. In addition to writing Lessons from Legends, I am an experienced Senior Editor, interviewer, podcaster, blogger, Mailchimp expert, branded content creator, music writer, and one-time-viral Chris Pratt writer. I’m always available for freelance assignments, like this interview I did with Boyz II Men. For more info on my professional career, check out my LinkedIn page. The list is based on win percentage. His win percentage is .761, the last guy (McGugin) on the list is .762. He and some other coaches are being added to the list soon though. The headline which I didn’t write says “who is the greatest” but I was making the list based on coaches with the highest win percentage. I didn’t set out to pick the greatest coaches of all time. I made the list based on winning percentage, I didn’t write the headline that made it about who the best coach was. That would be a totally different list and Coach Snyder would 100% be on it. The job he did turning around Kansas State is one of the most impressive in history. It’s a list of coaches by winning percentage. His was .580.